Two CD set, 33 tracks. With a career spanning over four decades The Eagles are among the most successful Rock 'N' Roll acts of all time. 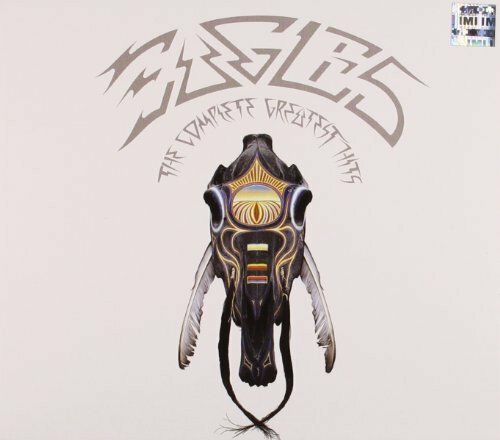 The original Eagles compilation, Their Greatest Hits 1971-1975, remains one of the best-selling records of all time and this updated two CD collection contains all the same hallmarks that made it so successful, with some welcome surprises. The staple recordings remain, with 'Hotel California' the most immediately recognizable, as well as hits like 'Lyin' Eyes' and 'New Kid in Town'. Also included is their single 'Hole in the World', written as a response to the 9/11 terrorist attacks. Like many of The Eagles' songs, the difficult and confrontational subject matter is softened by their trademark vocal harmonies. If you have any questions about this product by WARNER, contact us by completing and submitting the form below. If you are looking for a specif part number, please include it with your message.